For many this will be the first time they’ve been able to afford any health insurance or the first time in a long time. Many others will find insurance for premiums considerably below what they are currently paying. Few people, if any, will experience any immediate negatives. The vast majority of folks in the U.S. will see Obamacare as either a huge positive or at the very least, nothing negative. They’re all going to look at the Republicans and Fox News like they’re nuts to be so upset over it. 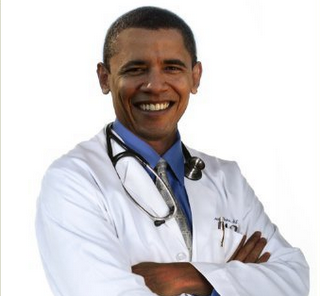 Obamacare will, very likely, appear to be a huge success. The one note I’ll make is that websites like eHealthInsurance have provided the same function as the exchanges for over a decade. The state exchanges under Obamacare have simply garnered more press and public relations (and cost taxpayers billions of dollars to develop). The problems with Obamacare are things that many people will not really feel. The only one of these that many people will feel is the personal mandate. But even this will be muted since a number of those impacted by this will also be well in to the heavy subsidy range so won’t have to pay too much. The Medical Device Tax will very likely be repealed soon since the majority of Democrats now agree that it is quite harmful. The Employer Mandate has already been having a significant negative impact with employers either not hiring new employees to stay below the magic bullet of 50 or reducing the hours of employees to keep full-time employees below 50. That sure is working well. The biggest problem however, will be the huge increase in entitlements. Few will feel this directly, though everyone will feel it indirectly—they just won’t know it. Taxes will have to be raised significantly to cover this new entitlement program that will likely be the largest in U.S. history. Significantly increased taxes will not only reduce how much money people have but also less money invested in companies and products and thus fewer jobs available. Like a frog in a pan of cold water that’s heated to boiling, we’ll roll happily along. Target Stores Simply Balanced, Out Of Balance!